A Bit of Sass: Gone Pineapples! You may not be vacationing on a tropical island, but that doesn't mean you can't show your love of pina coladas! 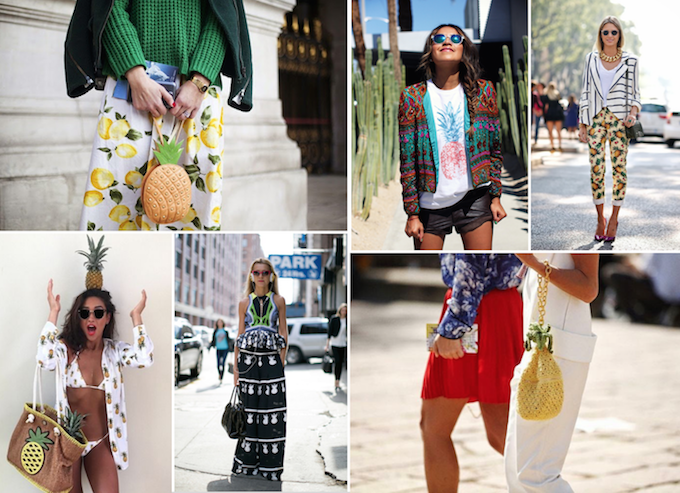 Street style starts are going bananas for pineapple prints and have taken to wearing the tropical fruit on everything from dresses to shoes. My favorite way to show my love of pineapples? With a pineapple print handbag of course! 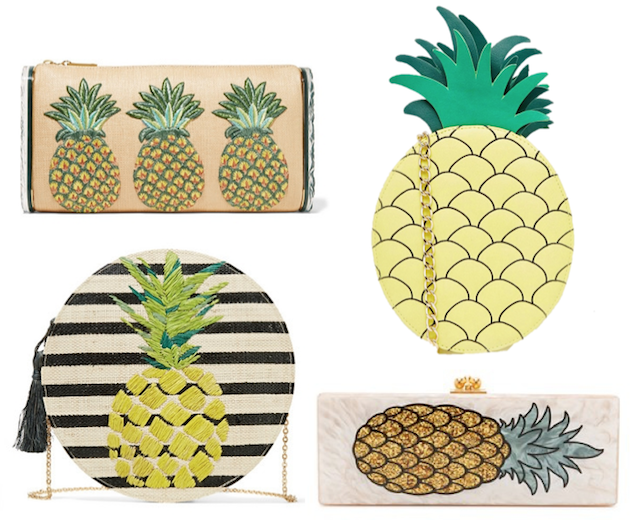 If your bag game is already strong, incorporate the flirty fruit into your outfit with cheeky pineapple print shoes and clothing for a look that says Summer.